Ryan Whalen guides domestic and international companies and sophisticated individuals in determining when and if litigation is necessary. 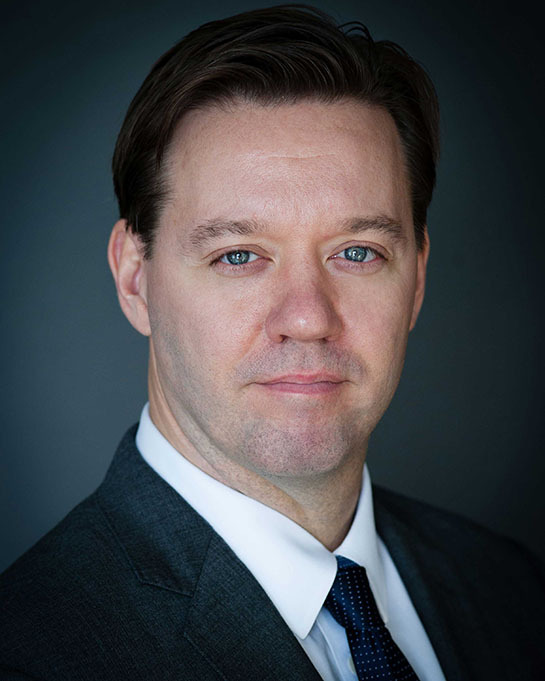 When litigation is necessary, Ryan relies on fifteen years of experience appearing as trial and appellate counsel in Federal and State Courts and arbitral bodies. Ryan handles litigations and proceedings involving complex commercial disputes, business torts, corporate governance, shareholder derivative and appraisal rights, real estate disputes, trademark infringement and counterfeiting, civil RICO and legal malpractice. Ryan also represents clients in discovery and accounting proceedings before the Surrogate’s Court. Ryan regularly appears as counsel in cases with highly intricate fact patterns, which calls for litigation counsel with uncommon attentiveness, persistence and skill. Ryan has also appeared pro hac vice in the Courts of the Commonwealth of Massachusetts and Florida. Ryan has honed his litigation skills with significant experience as trial counsel. Beginning early in Ryan’s career, he has been taking cases to verdict. He has an established track record of producing successful jury and non-jury verdicts and lucrative settlements for his clients. Ryan has also successfully represented clients on numerous appeals and has achieved reversals and modifications of Decisions, Orders and Judgments issued by lower courts. In acknowledgement of these achievements, in 2015, Ryan was recognized by the Martindale-Hubbell Bar Register of Preeminent Lawyers. Prior to joining the Firm, Ryan was a partner at Brown & Whalen, P.C. Ryan was born and raised in Westchester County, New York. He earned his juris doctorate from Fordham University School of Law where he served as Alternative Dispute Resolution Editor for the Urban Law Journal. In a litigation that spanned over eight years and culminated in a twenty-nine day bench trial before Justice David B. Saxe (Ret. ), Ryan successfully defended the officer and shareholder of several entities that own and manage real estate in New York City and New Jersey. Petitioner, the co-shareholder, sought damages of approximately $40 million dollars pursuant to claims of fraud (including, forgery, constructive trust and fraudulent concealment), breach of fiduciary duty and breach of contract. By Decision and Order dated December 18, 2018, Justice Saxe held that Petitioner failed to prove all of its claims against Respondents. As counsel for Respondent in an accounting action alleging diversion and mismanagement of various entities that own real estate throughout New York City, Ryan successfully moved to dismiss claims that sought over fifty-two million dollars in damages from Respondent. Ryan was lead trial counsel for Plaintiff/Counter-Defendant in the action entitled, BRA Management, LLC v. S&G Hotel Corp. (Sup. Ct. N.Y. Cty.) (J. Oing). Counter-Plaintiff alleged conversion, fraud, tortious interference with contractual relations and unjust enrichment and sought $850,000 in damages against Counter-Defendant. During the trial, which was held over several days in September 2014, and after the close of Counter-Plaintiff’s case, Ryan moved for a directed verdict on behalf of Counter-Defendant. The motion was granted and resulted in the dismissal of all of the counterclaims. Ryan was trial counsel for Plaintiff who alleged legal malpractice against Defendants who drafted and filed, on Plaintiff’s behalf, ineffective tender offers on three separate occasions. After completing jury selection, the parties resolved the litigation in July 2014. Ryan was lead trial counsel for Plaintiffs in the action, Bonds.com Holdings, Inc. et al. v. Kestrel Technologies, LLC et. al., (Sup. Ct. N.Y. Cty.) (J. Freedman). Plaintiffs alleged Defendants breached various contracts for the creation of an online trading platform for fixed income products. After a seven day jury trial, a verdict was returned in favor of Plaintiff resulting in judgments totaling over $1,000,000. Ryan was lead trial counsel for Plaintiff in a trademark counterfeiting action entitled, Martal Cosmetics, Ltd. v. International Beauty Exchange Inc. et al. After a seven day bench trial, the Court found the defendants — who were “part of a hydra of corporations” — willfully infringed on Plaintiff’s marks. The Court awarded Plaintiff $750,000 in statutory damages against the corporate defendants and their officers, pursuant to 15 U.S.C. § 1117(c), plus attorneys’ and investigators’ fees on account of it being an “exceptional case.” Martal Cosmetics, Ltd. v. International Beauty Exchange Inc. et al., 2011 WL 3687633 (E.D.N.Y. Aug. 23, 2011) (J. Melancon). Ryan was lead counsel for Respondents, three New Jersey domiciled LLCs, in a proceeding before the Surrogate’s Court, Queens County. The petition alleged mismanagement and diversion and sought the appointment of a temporary receiver over the LLCs. Ryan successfully moved to dismiss the petition against the LLCs on grounds that the Surrogate’s Court lacked personal jurisdiction. Ryan represented Plaintiff in the action entitled, Johnson & Johnson Consumer Companies, Inc. v. Harry Aini et al. United States District of New York, Eastern District of New York, (02 Civ. 6624) (J. Irizarry). Plaintiff alleged Defendants counterfeited plaintiff’s trademarks. In a widely cited and influential decision, Plaintiff was granted partial summary judgment; the Court held that Defendants’ sale of an alleged prior version of manufacturer’s skin cream to be deemed a counterfeit version of the genuine product. See Johnson & Johnson Consumer Companies, Inc. v. Harry Aini et al., 540 F.Supp.2d 374 (E.D.N.Y. 2008). Ryan was counsel for Plaintiff in the action entitled, Robert Lewis Rosen Associates, Ltd. v. Maury Gostfrand and Vision Sports, LLC, (Sup. Ct. N.Y. Cty.) (J. Ramos). Plaintiff, manager of professional athletes and media/broadcasting talent, alleged former employee breached fiduciary and duty of loyalty. The case settled after discovery and prior to trial. Ryan represented Respondents-Appellants in an appeal from a Decision and Order of the Surrogate’s Court that compelled Respondents to execute authorizations that provided for the broad discovery of books and records maintained by out of state LLCs for which the Surrogate’s Court did not have personal jurisdiction. The Appellate Division, Second Department modified the Decision and Order and narrowed the scope of discovery that could be obtained from the out of state LLCs. In re Hersh, 109 A.D.3d 991, 971 N.Y.S.2d 559 (2d Dep’t 2013). Ryan represented Plaintiff-Respondent on Defendant-Appellant’s appeal of an Order striking Defendant’s answer to Plaintiff’s complaint as a sanction for disobeying Court orders and failing to provide discovery. The Appellate Division, First Department held “that defendant’s pattern of non-compliance with court orders was willful, contumacious and in bad faith.” Fish & Richardson, P.C. v. Schindler, 75 A.D.3d 219, 222 (1st Dep’t 2010). In a frequently cited decision by United States Court of Appeals, Second Circuit, Ryan successfully argued on the brief that the United States District Court for the Southern District of New York (Baer, J.) was correct in allowing for a supplemental judgment that confirmed an arbitral award to account for sums that had previously been contingent upon future contracts that had yet to mature. Robert Lewis Rosen Assocs. Ltd. v. Webb, 473 F.3d 498 (2d Cir.2007). Ryan represented Defendants who successfully opposed Plaintiff’s motion to amend the complaint on the grounds that the proposed defendant was not a signatory to the relevant agreement. On appeal, despite the legal standard that leave to amend a pleading should be freely given, the Appellate Division, First Department affirmed the ruling in favor of Defendants. Manhattan Real Estate Equities Group, LLC v. Pine Equity NY, Inc. 27 A.D.3d 323, 815 N.Y.S.2d 28 (1st Dep’t 2006). Ryan was retained post-trial as appellate counsel for Defendants in Maloney Carpentry, Inc. v. Budnick et al. On appeal, Ryan argued that the trial court’s jury charge on the issue of substantial performance was erroneous, and therefore, prejudiced Defendants. The Appellate Division, Second Department agreed with Ryan and found the jury charge to be “erroneous, incomplete, and ambiguous,” reversed the judgment below and ordered a new trial, which lead to settlement. Maloney Carpentry, Inc. V. Budnick et al., 19 A.D.3d 378, 795 N.Y.S.2d 911 (2d Dep’t 2005). Ryan represented Plaintiff on appeal of a judgment entered after a bench trial in which Plaintiff recovered against the corporate Defendant for rent due uner a commercial lease. However, the trial court dismissed Plaintiff’s complaint to the extent it sought to pierce the corporate veil against the corporate Defendant’s owners and officers. On appeal, Ryan successfully argued that the trial court erred by refusing to pierce the corporate veil, “[t]he evidence further reveals the absence of corporate formalities… inadequate capitalization… the intermingling of personal and corporate funds… and the use of its funds for personal ppurposes.” Galin Partnership v. Flynn, et al., 295 A.D.2d 473, 744 N.Y.S.2d 345 (2d Dep’t 2002).